10+2 examination passed or appearing under recognised Central/State Board of Secondary Education/Council for Indian School of Certificate Examination, New Delhi with English & Maths as compulsory subjects. As per COA norms, the minimum 10+2 aggregate percentage should be 50% or more. 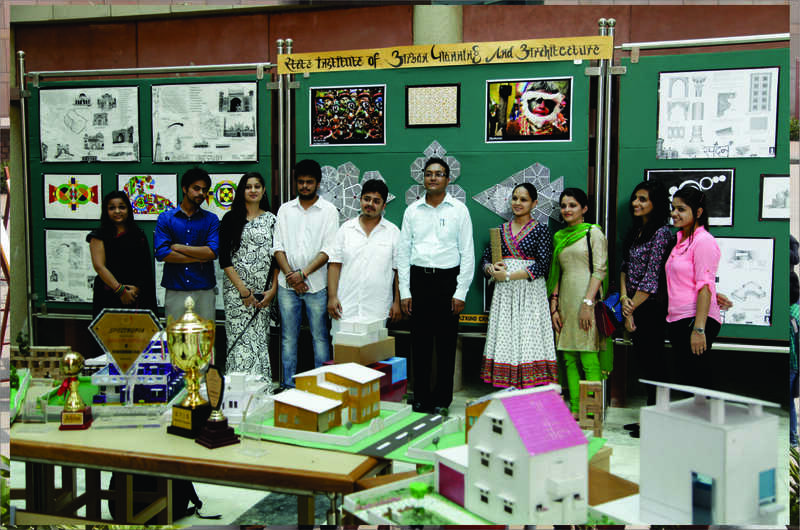 Admission for B.Arch. shall be made on the basis of valid NATA score conducted by Council of Architecture and marks secured in the qualifying examination in the ratio of 50:50 through on‐line and off‐Campus counseling by HSTES, as per the schedule and key dates decided by HSTES mentioned in their Admission Prospectus of B.E./B.TECH./ B.ARCH Programmes for the session 2016‐17. For details visit HSTES websites, www.hstes.org or www.hstes.in..
(a) Printed copy of Online Application form submitted to HSTES, Panchkula. (b) Retained Photocopy of filled application form. (c) Kept details of dispatch for reference. (d) Please refer Admission Prospectus of B.E./B.TECH./ B.ARCH Programmes for the session 2016-17 by HSTES for more information.